Why Chiropractic? What can a Chiropractor do for me? Work of Art." - Dr. Paul E. Frame, D.C.
Chiropractic care is a non-drug approach to healthcare. It is concerned with the correct relationship between the nervous system and your skeletal system. Your nervous system consists of the brain and its connection to the spinal cord, then to the spinal nerves and eventually to every cell in your body. Your nervous system is responsible for life itself. The skeletal system helps support the organs and muscles of your body and also surrounds and protects your nervous system. When the skeletal system is in proper alignment it allows the nervous system to do what it does best which is keeping you alive and healthy. 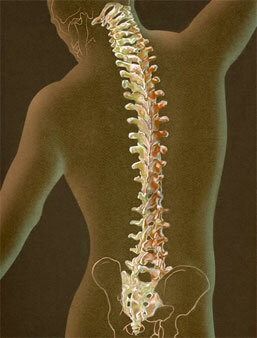 Chiropractic care helps keep your skeletal system in alignment allowing the nervous system to do its job. Think of the analogy of the healthy garden and its water supply and compare it to a healthy body and its nerve supply. If you step on a garden hose there is less water to the garden and it begins to die. The same thing happens in our bodies. If a misaligned vertebrae puts pressure on the nerve it normally protects, the connection between the brain and that part of the body diminishes and it becomes less healthy. Bone misalignments can be caused by improper posture, falls/injuries from birth to the present, sports injuries, car accidents, work injuries, hereditary factors, pronated/flat feet and other factors. I assess your body with a thorough exam, x-rays if needed and make a plan to address your current health issues. My plan addresses decreasing skeletal misalignments so that your nervous system is in the position to keep you as healthy as possible. Call today for an appointment and I look forward to meeting you.